Dentists face a number of therapeutic problems which are difficult to overcome with what they currently have available to them. Here at Complementary Compounding Services we work with dentists in order to formulate products to help solve these problems. (1) Mouthwashes – mucoadhesive mouth washes can be formulated for a number of conditions such as local infections, periodontitis, chemical burns and ulcerative stomatitis. They can contain multiple ingredient combinations which include: lignocaine, tetracaine, dexamethasone, triamcinolone, hydrocortisone, diphenhydramine and tetracycline, chlorhexidine, to name a few. 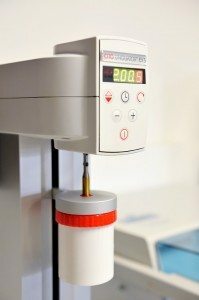 (2) Local Anesthetics – Our lab produces a range of peridontal anesthetic combination gels such as TAC Gel, PLT Gel and BTC Gels. 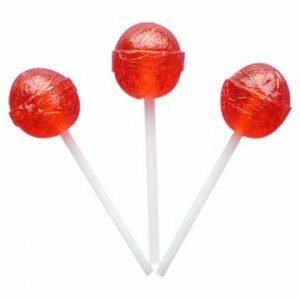 We also produce tetracaine lollipops which may be used prior to dental procedures for pain relief and also very effective for chemical burns such as chemotherapy patients. (3) Anesthetics – Our lab also produces procaine injections in a range of strengths. (4) Dry Mouth – Our lab produces a 2mg and 5mg Pilocarpine lozenge. Pilocarpine is a muscarinic cholinergic agonist which has proven efficacy in treating the symptoms of dry mouth. (5) Chronic Craniomandibular Pain (including temporomandibular disorder) – may be effectively treated using an analgesic transdermal gel which is applied directly to the intra- and extraoral neuralgias, temporomandibular joint, skeletal muscle and trigger points. 10% Ketoprofen, 7% amitriptyline and 5% lignocaine is an effective formula for such pain, however there are many more combinations available. For further information call us for our information handout on neuropathic pain management. (6) Apthous Ulcers – mucoadhesive flavored gels containing lidocaine and ketoprofen are available. (7) Burning Mouth Syndrome – A peridontal flavored gel containing lidocaine and capsaicin is available. .. to name but a few. If you are a dentist and interested in having something prepared for your dental practice feel free to contact us.